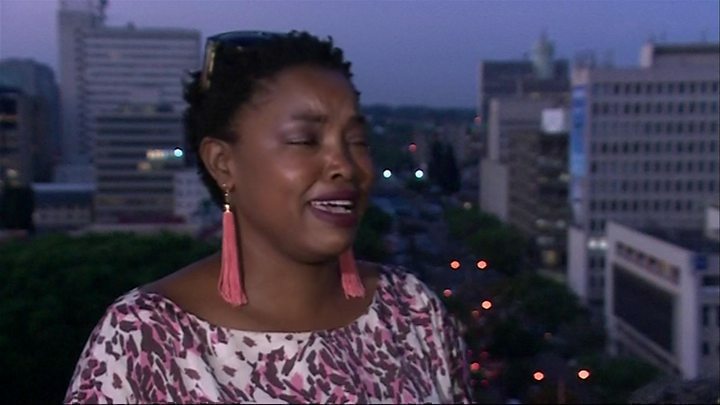 Jubilant Zimbabweans have celebrated late into the night after Robert Mugabe resigned as president. He held power for 37 years and once said "only God" could remove him. His ally turned rival, former Vice-President Emmerson Mnangagwa, is expected to return from neighbouring South Africa and could be appointed as the new president within hours. Mr Mugabe's shock resignation came in the form of a letter read out by the speaker of parliament. In it, Mr Mugabe - who had so far resisted pressure from the public, the army and his own party to step aside - said he was resigning to allow a smooth and peaceful transfer of power, and that his decision was voluntary. 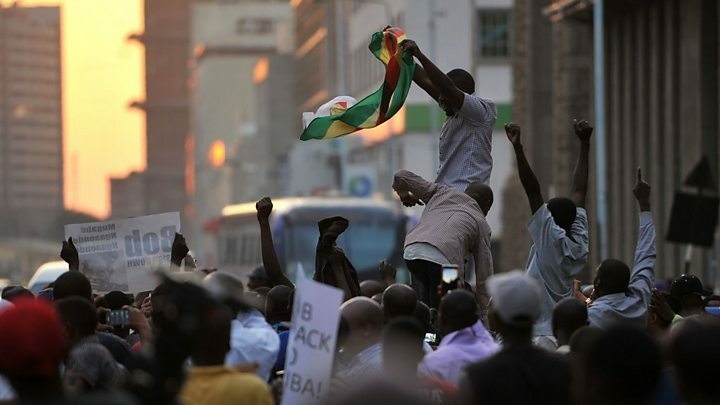 "I'm so happy, wonderful, feeling so much excited, this is the greatest moment for our country," Julian Mtukudzi told the AFP news agency. "We have been having sleepless nights hoping and waiting and we are so happy. It's over and it's done." Mr Mnangagwa's sacking earlier this month triggered a political crisis. 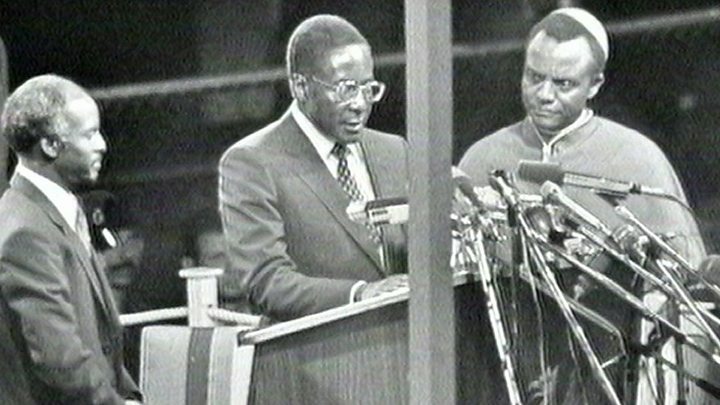 Mr Mugabe, 93, was until his resignation the world's oldest leader. But a ZANU-PF official Larry Mavhima told Reuters Mr Mnangagwa is to return home for 11:30 GMT, where he is later expected to be sworn-in. 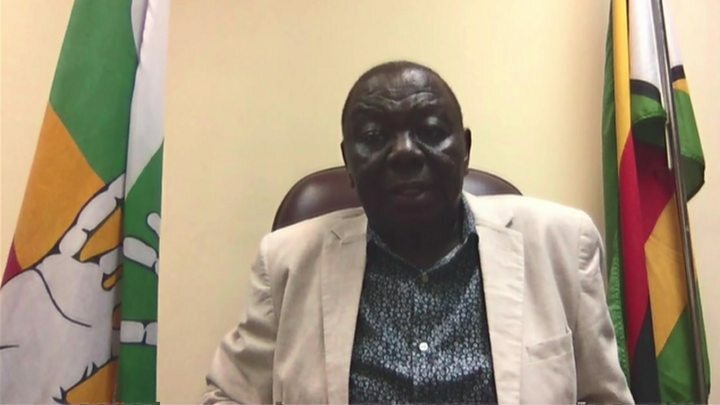 Media captionMorgan Tsvangirai told the BBC he hoped that Zimbabwe was on a "new trajectory"
Prominent Zimbabwean opposition politician David Coltart tweeted: "We have removed a tyrant but not yet a tyranny." African Union president Alpha Conde said he was "truly delighted" by the news, but expressed regret at the way Mr Mugabe's rule has ended.